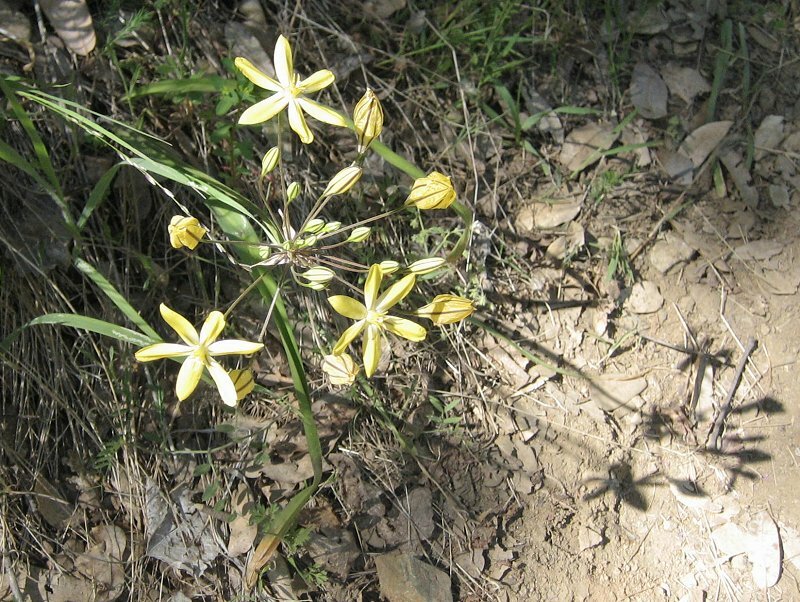 Mid bloomer, 6-petaled showy flat flowers clustered on tall leafless stems. Birds eat seeds, leaves are used for toothache. Notes: Lily Family. The flowers look like yellow stars on an umbel. It was one of the ‘Indian Potatoes’, edible bulb. 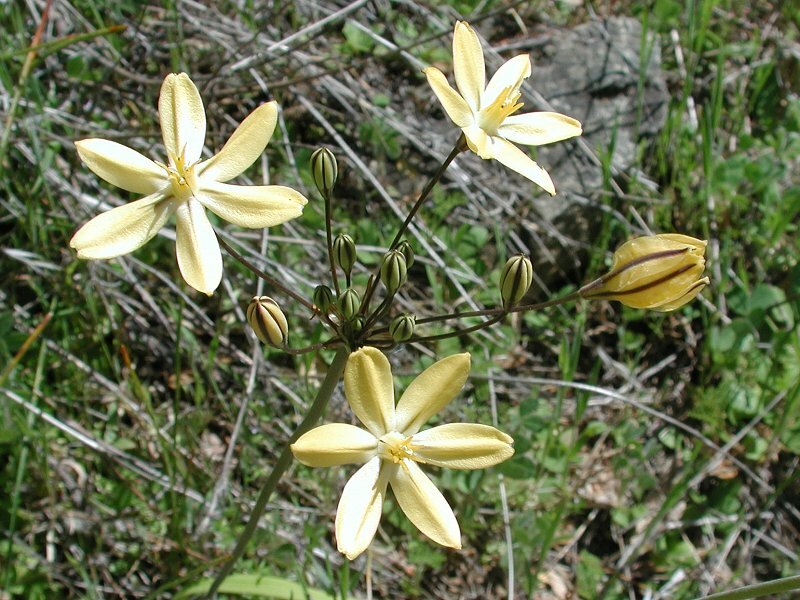 Former name: Brodiaea lutea, Golden Brodiaea. Click on genus name below to go to USDA for this genus. Like the Wally Basket, Pretty Face can have a large number of blossoms in a single umbel. The plant here has 20 and the one above has 13. You can also see the grass-like leaves here. In this picture it is clear that the leaves and umbel are from the same plant. 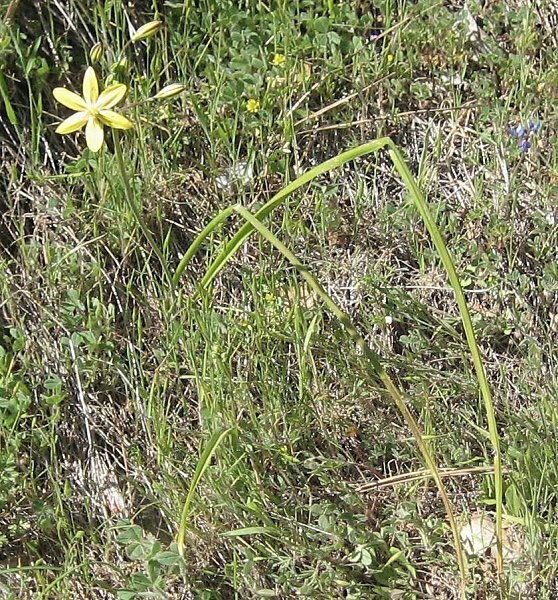 before blooms appear and are often not seen.